This article will help you to understand how to best use the grocery list. 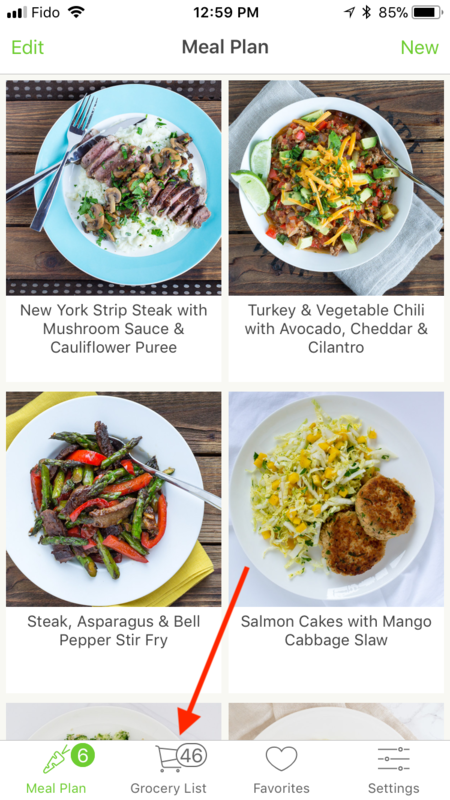 When you build a new meal plan, you'll notice that your grocery list is replaced with a list of all the ingredients you need for your new meal plan. 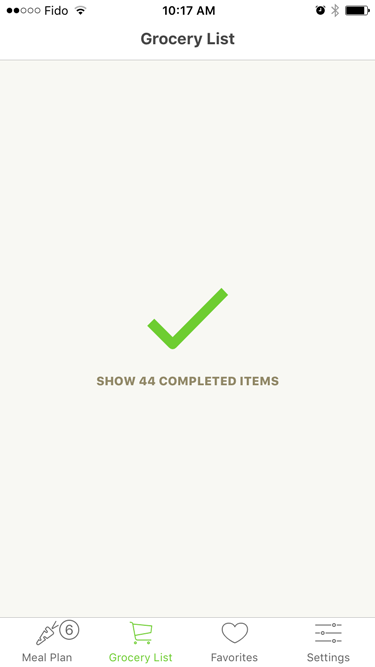 There will be a number above the grocery list icon showing how many pending items you need to check off. The first step to getting started with your grocery list is to tap the grocery list and check off the ingredients that you already have in your kitchen. Things like salt, oil, and bulk items like rice or quinoa are staples and can often be checked off right away. Next, head on over to the grocery store and check off each item as you pick it up. 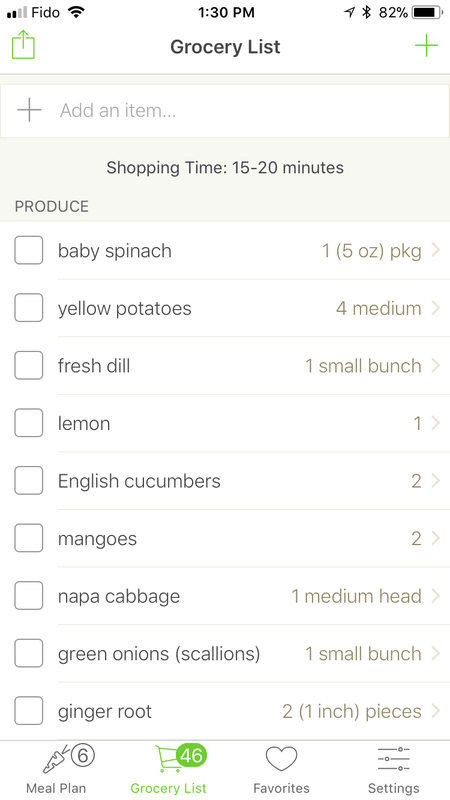 The grocery list is organized into categories that match with common grocery store layouts, so you should be in an out in no time at all! For more information on how to use the grocery list, check out: Adding your own items and Extra ingredient details .